Due to numerous studies, many Australians are not getting enough sleep. Here’s how to put that problem to bed. Following on from our report about employee burnout comes the revelation that over one third of Aussies have trouble getting regular, good sleep, according to the Australian Sleep Health Foundation. Considering the potentially serious effects that insufficient sleep can have on health, it’s an alarming statistic. We spoke to Feras Karem, managing director of one of Australia’s largest pharmacy chains, Pharmacy 4 Less, to find out why we aren’t sleeping and what can we do to fix this issue. With sleep fast becoming one of the most prevalent issues amongst Australians, Feras and the Pharmacy 4 Less team are on a mission to educate the population around good sleep habits, how to identify sleep issues correctly, and different ways to address and fix the issues. What are the issues and who is affected? Herbal remedies such as Brauer Sleeplessness And Insomnia Relief. Sleep apnoea occurs when a person’s airway becomes obstructed while sleeping, which causes them to stop breathing for a period of time. Associate Professor Keith Burgess from the Sydney-based Peninsula Respiratory Group says “For the vast majority of people, the reason (for the obstruction) is the collapse of the upper airway, typically behind the base of the tongue and at the level of the soft palate.” Treatment of sleep apnea requires consultation with your doctor or pharmacist. 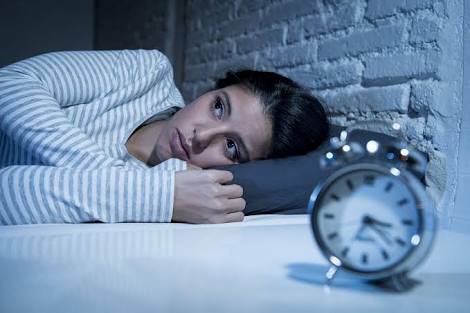 Believe it or not, anxiety and sleep are directly correlated so it’s not unusual for people who are typically worried or anxious to sometimes experience wakeful or disrupted sleep patterns. Of course, as happens with anxiety, the more you worry about something the worse it can become, so it’s not unlikely if you’re in this situation you’re at risk of establishing negative patterns of thinking about your sleep cycle. Herbal remedies, such as Rescue Remedy or Caruso’s Stress and Anxiety Spray before bed. Avoid using screens/devices during the hour prior to going to sleep. Instead, meditate, read a book, or talk to your partner or pet! Commit to a nighttime routine so you go to bed at the same time every evening, and get up at the same time every morning. With just a few small changes you might see some giant improvements in your quality of sleep, and therefore your overall health. It’s true – you really can sleep your way to the top (of good health)!